Apparently I’m on a pizza-making kick. 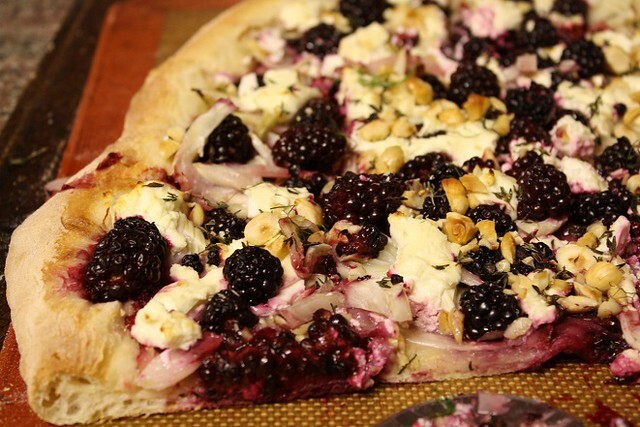 Last week it was Eggplant Pizza and this week a Blackberry, Fennel and Goat Cheese Pizza. It wasn’t an intentional decision…subconscious maybe. But when I came across this week’s pizza recipe on Pinterest over on the site Scaling Back, I couldn’t stop thinking about it and knew it was on the very short list. So short in fact that I made it the next day. And I’m so very glad I did. This pizza was ridiculously easy and I have to say, I felt like I was eating a gourmet pizza when I served it up. Plus it didn’t take much effort at all or that many ingredients….which is always a plus for a crazy week. Here’s how it went down. This week (as most weeks seem to be lately) was very busy. I made a quick trip to my hometown for the visitation of a family friend who passed away, and then I had a jewelry party as well, so for the one night I wasn’t either coming or going, I knew I needed to whip up something easy, fast, and that left me with leftovers to munch on for a few days. Since I had a lot happening, I opted to not make my own pizza dough, although I’m including a recipe if you have the time and want to make the dough by hand. Instead I grabbed Trader Joe’s always reliable ready to bake pizza dough. Thank you TJ’s for making my life just a bit easier. To put the pizza together, I started by rinsing my blackberries (you need about a cup and a half), and then I chopped up my hazelnuts and set them to the side. Next I sliced up some fennel really thinly. Finally I removed 2 tablespoons worth of thyme leaves from the stems. Then just roll out your pizza dough as thick or thin as you want it. 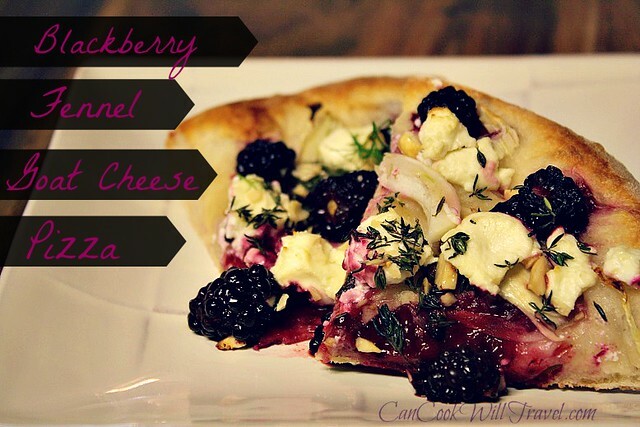 Top it with a bit of olive oil followed by the fennel, blackberries, and goat cheese. (And clearly goat cheese was my main motivation to make this pizza…holy cow do I love the stuff in case you haven’t noticed.) Then top it with the thyme and hazelnuts and bake away. When you’re done drizzle a bit of honey over the top and some of the fennel fronds. Voila you’re done! Super simple and unbelievably delicious. 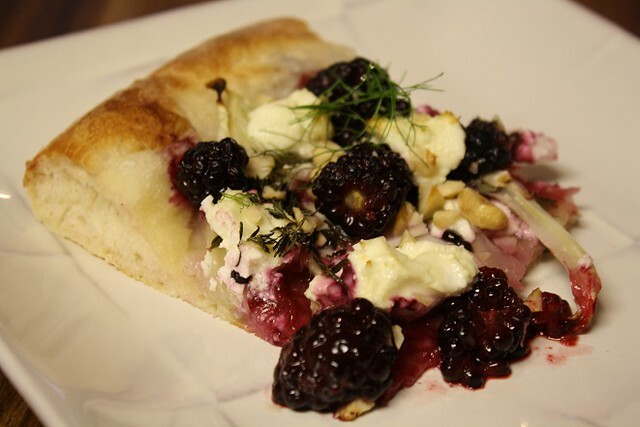 I loved the crunch of the fennel & nuts and the blackberries mellow the fennel plus the goat cheese’s creamy texture along with the fabulous scent of the thyme make for a harmonious pizza. This was a total home run! I cannot wait for you to give this recipe a try. Click here for the recipe and step by step directions! Two years ago: It’s Tea Time…Muffins + Chai Tea = Pure Goodness!